From I-77, take the Woodlawn exit heading East. Travel approximately 2.5 miles and turn right onto Park Rd. Take the 2nd right onto Abbey Place. Residents can easily walk to grocery, retail, restaurants and nightlife. They can jump on Park Road and be in Uptown Charlotte in 15 minutes. They can bike to Park Road Shopping Center or the watering holes on Montford and leave their car at home altogether. SouthPark is just a mile or two away. 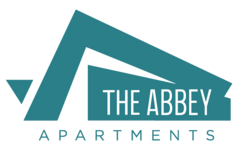 Yet, living at The Abbey makes them feel like they are part of the close-knit Madison Park neighborhood. Evening post-work strolls offer an opportunity to unwind and have casual conversations with neighbors. Residents are surrounded by like-minded people determined to get the most out of city living, without giving up that comfortable neighborhood feel. Lease today and receive one month free. Copyright © 2019. The Abbey. All rights reserved.